Holly Beach Dental Associates has provided personalized dental care to thousands of families. Our patients come from near and far to experience the warm, individualized care we provide. We pride ourselves in utilizing the most modern equipment and methods available. Solve your sleeping struggles at the dentist's office? It's definitely possible. Problems with sleep can quickly and negatively impact overall well-being. High blood pressure, heart disease, stroke, brain damage, depression, erectile dysfunction, diabetes, weight gain and more—all of these can be caused by sleep apnea and snoring. A filling is a way to restore a tooth decayed tooth back to its normal shape and function. If you have a tooth that requires a filling, the dentist will first remove the decayed tooth material, then clean the affected area and fill the cleaned-out cavity with a filling material. This filling will help prevent further decay by closing off any cracks or spaces where bacteria might enter. There are a variety of filling materials available and we will work with you to determine which material is best for you, depending on the extent of repair and the location of the filling. Clear Image Aligners is an attractive alternative to traditional metal braces. It is a series of clear, custom-fit removable mouth trays that apply a controlled amount of force to your teeth to slowly straighten them. The system provides the same beautiful results as traditional braces, but they are virtually invisible. Because Clear Image Aligners trays are removable, they can be taken out while eating, drinking, brushing and flossing. The Clear Image Aligners system begins in the dentist or orthodontist's office with taking molds to design a your trays. 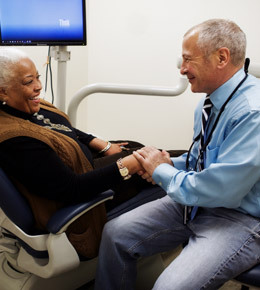 Patients switch trays every two weeks to gradually shift the teeth. The system requires a visit to the office every six weeks so that treatment can be monitored. Once treatment is complete, a patient will likely be given a retainer to maintain the smile. The cost of Clear Image Aligners varies according to the complexity of the case. Insurance policies generally cover Clear Image Aligners to the same extent that they cover traditional braces. Contact us for an Clear Image Aligners consultation. Invisalign® is an attractive alternative to traditional metal braces. It is a series of clear, custom-fit removable mouth trays that apply a controlled amount of force to your teeth to slowly straighten them. The system provides the same beautiful results as traditional braces, but they are virtually invisible. Because Invisalign® trays are removable, they can be taken out while eating, drinking, brushing and flossing. The Invisalign® system begins in the dentist or orthodontist's office with taking molds to design a your trays. Patients switch trays every two weeks to gradually shift the teeth. The system requires a visit to the office every six weeks so that treatment can be monitored. Once treatment is complete, a patient will likely be given a retainer to maintain the smile. Contact us for an Invisalign® consultation. Tray whitening is a convenient at-home whitening treatment. The results are more gradual. An impression is taken at the dentist's office in order to create a customized clear tray. Trays are generally ready within a few days, depending, and the patient must follow instructions for how to apply the gel in the trays and how often to use it. Maximum whitening results and a dazzling smile are achieved at the end of the set treatment period. An occasional treatment can be used to maintain the new smile. Ask about our whitening options! Please consult us prior to using over-the-counter whitening treatments. Learn More About Our Dental Philosophy.